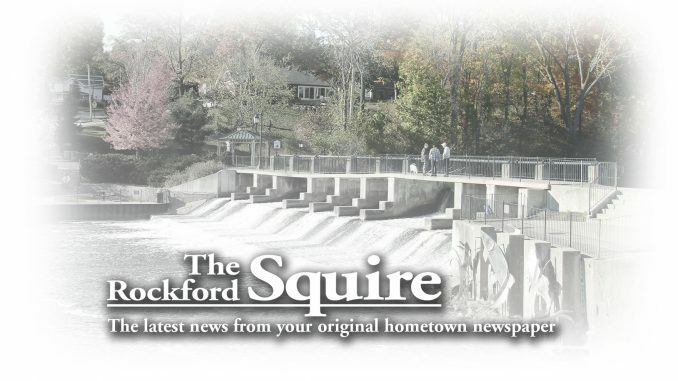 Rockford Rotary Club Meeting—7 to 8 a.m. during the summer at Herman’s Boy Coffee Ranch, 220 Northland Drive, Rockford. For more information, call Mark Bivins at (616) 866-1470. Rockford Area Historical Society Meeting—7 p.m. at the Community Cabin, 220 N. Monroe St., Rockford. Public is invited to share in the “Progress Report of the New Museum.” Hostesses will be Billie Hunt and Joan Bunn. Storytime Hike: All About Harvest—6 to 7:30 p.m. at Blandford Nature Center, 1715 Hillburn Ave. NW, Grand Rapids, for ages 7 and under and their family. Program begins with a season story and short craft, followed by hiking the trails and looking for objects or characters from the book. Cost is $5 per member or $6 per non-member. For more information, call (616) 735-6240 or visit blandfordnaturecenter.org. Auditions—6 to 8 p.m. at Rockford Reformed Church, 11 Mile Road, Rockford, for “In the Eye of the Raven,” Edgar Allan Poe, with Actors del Arte Ensemble. For more information, call (616) 874-5264. Spectacular Book Sale—10 a.m. to 4 p.m. (also Sat., Sept. 8, 10 a.m. to 4 p.m.; Sun., Sept. 9, 1 to 4 p.m.; Mon., Sept. 10, 10 a.m. to 2 p.m.) at Plainfield Township Library, 2650 Five Mile Rd. NE, Grand Rapids. Hardcovers $1, softcovers 50¢, and paperbacks and children’s books only 25¢. Sponsored by the Friends of the Plainfield Library. For more information, call (616) 784-2007 or visit www.kdl.org. Giant Rummage Sale—9 a.m. to 4 p.m. (also Sat., Sept. 8, 9 a.m. to 7 p.m.) at Courtland-Oakfield United Methodist Church, 10295 Myers Lake Ave., Rockford (between 11 Mile and Peterson). Euchre Club—6:30 p.m. at the Peppermill Grill, 8 S. Squires St., Rockford. New players welcome. Donations will be accepted for North Kent Community Services. For more information, call (616) 884-0757. Gospel Jamboree—7 p.m. at Sparta Free Methodist Church, 95 Grove St., corner Grove & Union. Free music jamboree, several musicians. Please join us. Free to the public. For more information call Jim Tol at jetnet1@att.net. “America’s Favorite Farm Market”—8 a.m. to 1 p.m. each Saturday through October 27 in the S. Squires Street parking lot, off Main St., downtown Rockford, featuring “Pure Michigan”-grown produce, fresh baked goods, flowers, plants and much more. Spectacular Book Sale—10 a.m. to 4 p.m. (also Sun., Sept. 9, 1 to 4 p.m.; Mon., Sept. 10, 10 a.m. to 2 p.m.) at Plainfield Township Library, 2650 Five Mile Rd. NE, Grand Rapids. Hardcovers $1, softcovers 50¢, and paperbacks and children’s books only 25¢. Sponsored by the Friends of the Plainfield Library. For more information, call (616) 784-2007 or visit www.kdl.org. Annual Chicken BBQ—4 to 7 p.m. at Courtland-Oakfield United Methodist Church, 10295 Myers Lake Ave., Rockford (between 11 Mile and Peterson). Cost is $7.95 for half chicken and all the fixin’s. Dine in or carry out. Invasive Species Control—1 to 3 p.m. at Blandford Nature Center, 1715 Hillburn Ave. NW, Grand Rapids, for ages 13 and up. Volunteer and learn about five invasive shrubs you should never have in your yard. For more information, call (616) 735-6240 or visit blandfordnaturecenter.org. Overwinter Your Harvest: Root Cellaring at Home—2 to 3:30 p.m. at Blandford Nature Center, 1715 Hillburn Ave. NW, Grand Rapids, for ages 12 and up. Program addresses how to best store your garden abundance, especially those root crops, including tips on how to put your garden to bed for maximum crop production next year. Cost is $5 per member or $6 per non-member. For more information, call (616) 735-6240 or visit blandfordnaturecenter.org. Youth Day—10 a.m. to 3 p.m. at Muskegon County Fairgrounds, 6621 Heights Ravenna Rd., Fruitport. Educational and fun for children. Absolutely free. Enjoy hands-on activities and special demonstrations, door prizes, free lunch for kids and more! Sponsored by Sportsmen for Youth. Walk to End Alzheimer’s—registration at 10 a.m.; walk at 11 a.m. at Greenville Community Center. To sign up to walk, volunteer, donate or for more information, please call Green Acres Retirement Living Greenville at (616) 754-8850 or the Alzheimer’s Association at (800) 272-3900 or go to act.alz.org/montcalmcounty, select Montcalm County under group selection. Spectacular Book Sale—1 to 4 p.m. (also Mon., Sept. 10, 10 a.m. to 2 p.m.) at Plainfield Township Library, 2650 Five Mile Rd. NE, Grand Rapids. Hardcovers $1, softcovers 50¢, and paperbacks and children’s books only 25¢. Sunday and Monday only: Buy a bag of books for $2. Sponsored by the Friends of the Plainfield Library. For more information, call (616) 784-2007 or visit www.kdl.org. Spectacular Book Sale—10 a.m. to 2 p.m. at Plainfield Township Library, 2650 Five Mile Rd. NE, Grand Rapids. Hardcovers $1, softcovers 50¢, and paperbacks and children’s books only 25¢. Last day to buy a bag of books for $2. Sponsored by the Friends of the Plainfield Library. For more information, call (616) 784-2007 or visit www.kdl.org. Rockford Rotary Club Meeting—noon to 1:30 p.m. at the Community Cabin, 220 N. Monroe St., Rockford. Visitors welcome. American Sewing Guild Meeting—6:30 p.m. at Plainfield Senior Center, 5255 Grand River Dr. NE, Grand Rapids. This month’s topic: scarves. Tell us about your scarf and share your pattern. Everyone encouraged to participate. For more information, please call Bev at (269) 637-8091. One-Day Memory Bike Ride for Ken Ring—10 a.m. to 3 p.m. at Howard Christensen Nature Center, 16190 Red Pine Dr., Kent City. For a donation of $4, the nature center will allow bikes as a special tribute to a dear friend/neighbor who was hit by a vehicle while riding his bike on 13 Mile Road. Must pre-register; must wear a helmet. Meeting at 520 – 20 Mile Rd., Kent City. For more information, call (616) 675-3158 or visit www.lilysfrogpad.com.